All new Mazda 2. Click for hi-res image. The Mazda 2 has just been crowned as Japan’s Car of the Year and it is due for launch in the coming weeks in the UK and should make a big impact here too. This next generation supermini is a five door hatchback which is packed with equipment and has lots of capabilities to make it a class leader. Design-wise, there’s a lot of familiar features to the excellent Mazda 3 including the interior that is so surprisingly comfortable and spacious, especially for the driver and there’s lots of legroom in the rear. 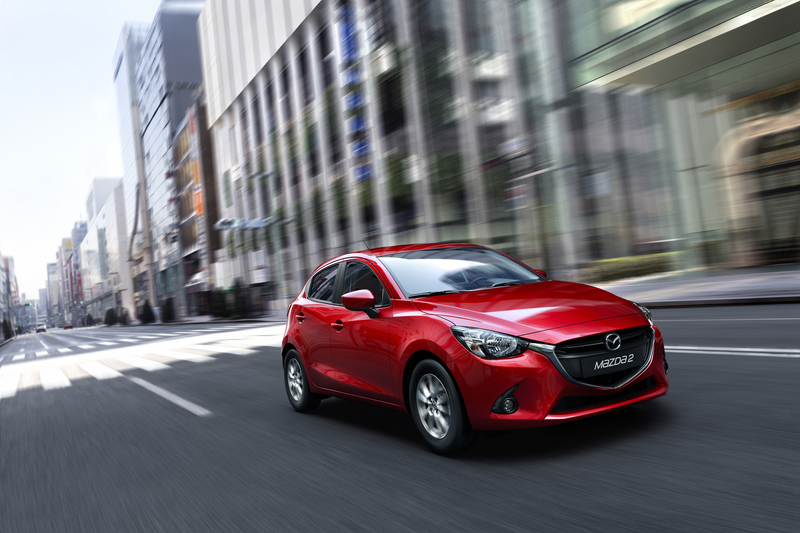 The Mazda 2 will have the first head-up display in its class with the firm’s active driving display. This gadget sees the car’s important information being relayed onto the windscreen. There’s also a complete range of Mazda’s Skyactiv technology including the 1.5 litre low compression diesel unit which will produce 105 PS and have CO2 emissions of just 89g/km. The other Skyactiv engines are all petrol-fuelled and each delivers excellent fuel economy. Mazda have also played close attention to the handling of the vehicle, and there’s a new chassis to help deliver a sporty level of handling. As is the norm now with new cars, the Mazda 2 comes with an excellent level of online capabilities for everyone in the vehicle, with a system called MZD Connect. Buyers will also find lots of kit on board including a number of active safety systems including blind spot monitoring. The Mazda 2 (it’s known as the Demio in Japan) will be launched in November with deliveries from early next year. This entry was posted in Car Leasing, Cars, New Cars, Small Car and tagged lease the Mazda2, mazda2 by Steve Lumley. Bookmark the permalink.